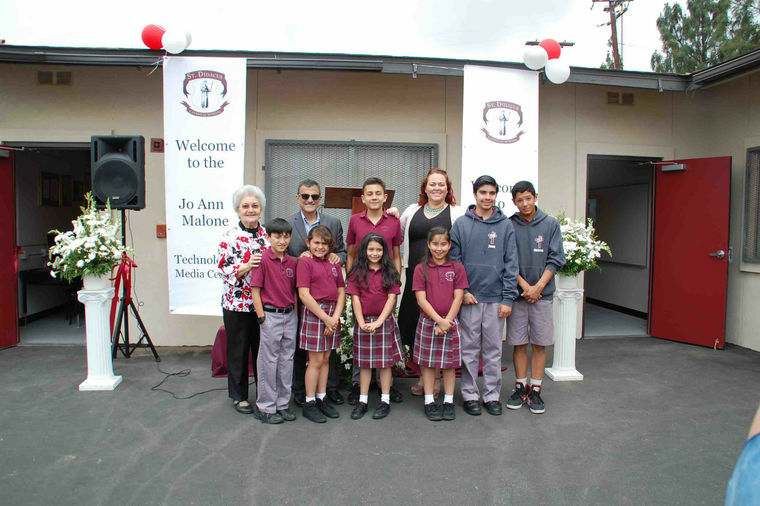 St. Didacus Elementary School in Sylmar recently dedicated its new “Jo Ann Malone Technology/Media Center” for the students here. “The Technology Center provides our students with state of the art equipment that could not have come at a better time, as existing equipment was outdated or in extremely poor working condition,” a school official said. The Technology/Media Center will be fully operational by the start of the new fall school year, 2016-17. The faculty will also receive new MacBooks and be provided with training prior to the start of the new school year. St. Didacus, established in 1958, is part of the Archdiocese of Los Angeles under the direction of Archbishop Jose H. Gomez.